My senior year of high school I asked my friend Erica to the prom. We agreed that I would take her to my prom and she would take me to her prom the following year. 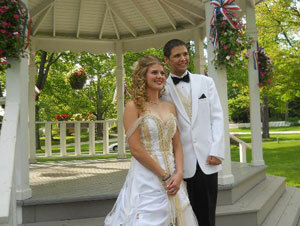 However, due to the timing of my bone marrow transplant, I was unable to go to my prom. But the following year she ended up asking me to her prom. I couldn’t have been more excited. With all that excitement I wrote this song about “this girl” who asked me to the prom. She means a lot to me and I really like her for who she is. I thought up this catchy melody and decided to make a song of it. Once completed, I later played the song for her and her family and they loved it. I have been playing guitar and singing for close to two years now. I taught myself how to play. I recorded this song on my own with my computer so I hope to make a better version in the future. Hope you enjoy.